Now in-stock at BMW of San Francisco, meet the all-new BMW 8 Series. Power, intelligence, beauty. The new 8 Series combines all three into one, truly advanced, BMW. Feel a burning, uncontrollable desire to savor the moment, whether it’s tearing up the road from 0 to 60 mph in 3.6 seconds, or unleashing the ferocious BMW TwinPower Turbo V8 engine for miles on end. Lean back into a cocoon of Merino leather. Then, let The 8 inspire you in ways you never experienced before—from the sonic ecstasy of Bowers & Wilkins Diamond Surround Sound to the limitless possibilities of the all-new BMW Live Cockpit. Limited Availability! 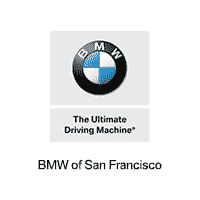 Submit the form on this page or call (415) 863-9000 now to further explore the all-new BMW 8 Series at BMW of San Francisco. Touch the accelerator. Hear the distinctive exhaust note. Feel the g-force push you back into the leather seats. Years of motorsport heritage – and a highly refined V-8 engine. This will be a ride to enjoy. Unconditional agility under any conditions. Standard Integral Active Steering, Adaptive M Suspension and an M Sport Differential, and the new generation of xDrive keeps the 8 Series in perfect sync with your every move. The 8 Series moves like an unstoppable force, but tight turns and red signals are a fact of life. Standard fixed-caliper M Sport Brakes bring you to a smooth stop, until you’re ready to accelerate again. Strike a stunning note every night. The All-New 8 Series features the advanced design of Icon Adaptive LED Headlights with Laserlight as standard. No other vehicle design captures the combination of motorsport heritage and effortless luxury quite like the bold lines and aggressive looks of the All-New 8 Series. With its M Sport Brakes, M Sport Differential, and standard Integral Active Steering, the All-New BMW M850i xDrive Coupe is not far removed from the racing world that inspired its design. Beneath the aggressive exterior lies a world of comfort and class. The Multi-Functional, heated front seats are designed to meet the demands of performance driving. Yet they’re clad in your choice of supple Extended or Full Merino Leather for an extra touch of luxury. Live Cockpit Professional features a 12.3″ instrument cluster, and 10.25″ central information display. The multi-input iDrive 7.0 system is operated by voice, touchscreen, and iDrive touchpad Controller. Navigation, Head-up Display, Bluetooth, two USB ports, 8 freely programmable bookmarks, 20GB of multimedia storage, and Over-the-Air (OTA) updates for map data up to 4 times annually are also included. The interior strikes a perfect balance between sport, technology, and luxury. Everything inside the all-new BMW 8 Series is crafted to the highest quality. Even the driver-oriented controls, with available Glass Controls, are designed to engage every sense to its height. Now in-stock at BMW of San Francisco, explore the all-new BMW 8 Series today by simply submitting the form on this page or calling 415-863-9000. * MSRP excludes destination & handling fee of $995, tax, title, license, and registration. ** Top speed limited electronically. Figure shown applies to vehicles with performance tires and increased top-speed limiter. *** BMW AG preliminary test results. Actual acceleration results may vary, depending on specification of vehicle; road and environmental conditions; testing procedures and driving style. These results should be used for comparison only and verification should not be attempted on public roads. BMW urges you to obey all posted speed laws and always wear safety belts.